Julian has degrees in Economics (B.Ec. Hons; M.Ec.) and Law from Monash University and a Ph.D from the University of Melbourne. In the early part of his career he worked as an industrial relations officer for two unions, one in the maritime and power industries and the other in nursing. Here he gained experience and skills in counseling negotiations and advocacy in a variety of industrial and political settings. Subsequently he returned to academia and has undertaken a variety of research and consulting projects. 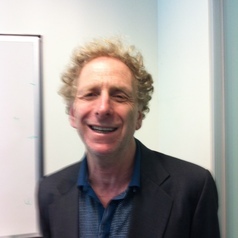 In 2011 he was the joint recipient of an Australian Research Council grant to undertake a large scale project, ‘Efficiency, Justice and Voice: A Study of Effective Ways to Prevent and Settle Workplace Disputes in Australia’. In 2013 Cambridge University Press published his co-edited book, Australian Workplace Relations, which makes a contemporary statement of the field.